The LGZ luminaire offers high quality uniformly distributed light for both internal and external applications that require a Ex ec increased safety. The light engine is a direct LED replacement for 2ft to 6ft fluorescent tubes, and can be driven at a range of drive currents to increase energy savings without compromising on light quality. We offer a 2ft or 4ft option as standard and other lengths are available on request. LGZ utilises a unique patented waveguide technology, which shines the light sideways from the LED into a solid, cast acrylic rod and then reflects the light outwards into the area to be lit. Available in 2ft and 4ft length, with emergency options. Lumenox design and manufacture an extensive range of LED-based luminaires suitable for both hazardous and industrial environments. Manufactured in the UK and engineered to the highest standards, the Lumenox LBX offers excellent efficacy, low maintenance, low cost of ownership, extended operational life and minimal on-site maintenance. Attention to detail at every stage from concept through to manufacturing has ensured that the LED light engine operates under reduced stress, both electrically and thermally, thus resulting in a luminaire with excellent lifetime characteristics. A wide mains input voltage range ensures compatibility with an on-site supply voltage from 110-240 volts at 50-60 Hz. 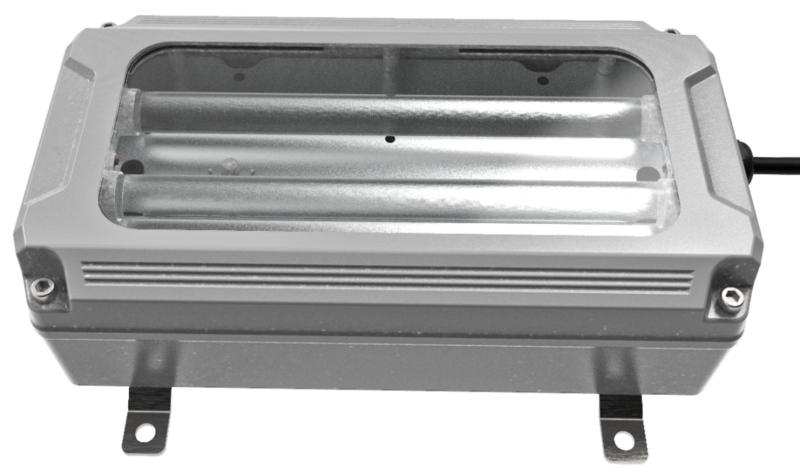 The cast aluminium housing is built complete with an ultra-clear, toughened glass window. In line with our exacting design, manufacturing, QA and testing standards, all Lumenox units are produced to provide a low carbon footprint whilst ensuring optimum illumination year after year, even in the most demanding applications. 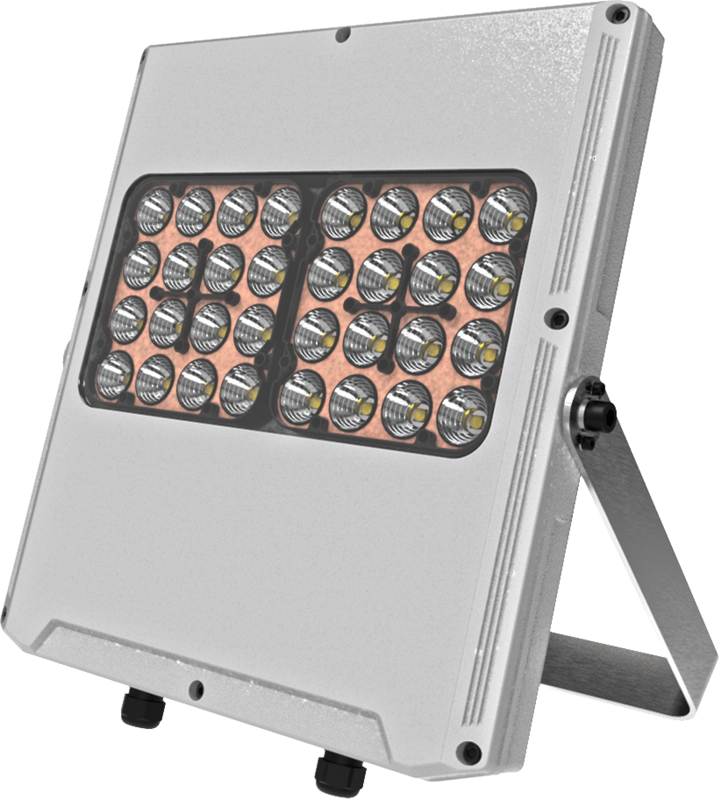 The LFX lights are high output, robust and reliable LED floodlights for use in oil & gas, petro-chemical, aviation, marine and utility applications. 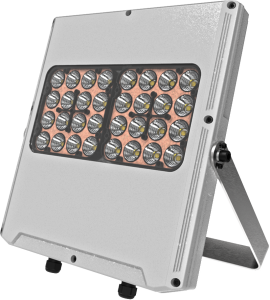 Suitable for use in Zones 1,2,21 & 22, weatherproof to IP65 and with a robust marine grade aluminium housing, the LFX lights are suitable for use in the harshest environments. Utilising high output LED light engines, the LFX range provides excellent illumination while running very cool to ensure high reliability and long life. Lumenox floodlights are fitted with our own custom built driver which ensures the driver lasts as long as the LED and is more suited to the extremes of temperature encountered in an explosion-proof application. 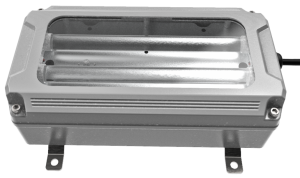 Heatsinking and thermal management have been optimised using CFD (computational fluid dynamics) to ensure maximum heat dissipation, essential for reliable LED functionality and long life. The LPX3 is a Zone 1, lightweight, ultra-compact, portable LED light designed to provide temporary lighting in oil & gas, petro chemical,aviation, marine, automotive and utility applications. 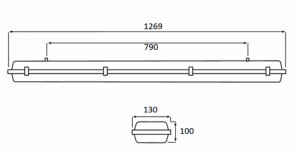 Suitable for use in Zones 1,2,21 & 22, these lights can be used as individual units or connected together to form a complete lighting system using plugs and sockets. Weatherproof to IP66/67 and impact tested to 7 Joules, they are suitable for use in the harshest environments. The very small diameter means it can be used as a handheld inspection lamp as well as a fixed light depending on requirements. Utilising our patented Waveguide technology, these lights offer high output and uniformity and low glare, essential for a temporary working light.